It is definitely not an everyday experience to dine in Mayfair. I recently went to a birthday dinner at 8 Mount Street and it was a fairly good experience. I would definitely not recommend wearing open toes high highs to this restaurant. It is about 10-15 minutes away from Bond Street Station and Green Park Station with surprisingly hilly pavements. Nonetheless, when I got there I had a lovely doorman to open the door for me. Furthermore, the restaurant had a romantic ambience with dimly light decor and silverware and crystal glass candle holders on the tables. On the starter menu was the lobster bisque. 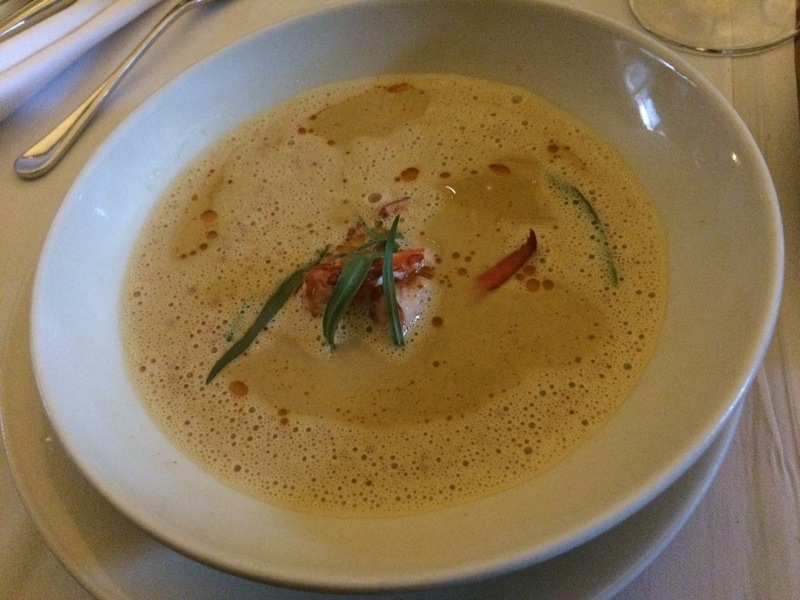 Pieces of chewy lobster were submerged in a slightly creamy soup base. It gets a 6/10 because it was not warm enough and there were only 3-4 pieces of lobster. 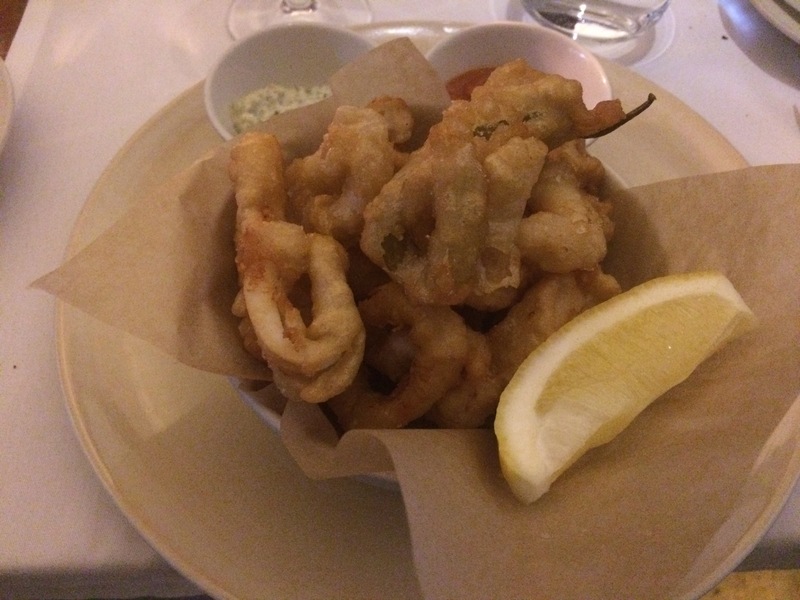 Another starter that was 10/10 was the deep fried squid. I was quite surprised when they arrived looking like squid rings but the light batter sprinkled with sea salt had a crunchy taste of high quality. This was accompanied by condiments of a mildly spicy chilli jam, cool tartar sauce and a slice of lemon that were all had the taste of heaven with the piping hot squid. 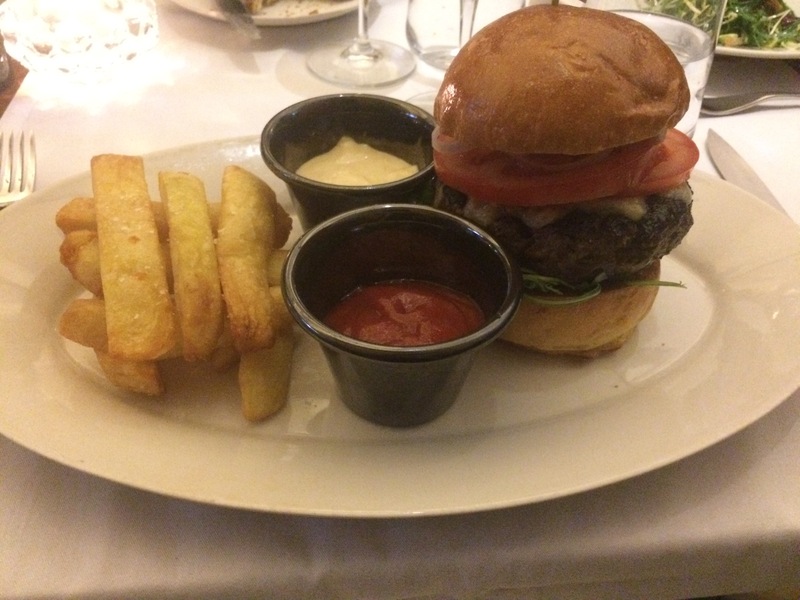 On to the mains and we have the Mount Street Burger. It was extremely excited to see triple cooked chips as part of the dish. They certainly lived up to the hype in terms of exceptional taste, texture and crunch. Yes…all 9 individual chips! However, the true let down and why I am scoring this as 6/10 was the burger. To be fair I made the initial mistake of asking for medium-cooked instead of a well-done fillet. As soon as you cut into it the centre, it looks a lot more like beef tartar. It was not very well seasoned and quite bland in taste. Furthermore, it only came out the kitchen warm and quickly got cold. It is true that I could have asked the waiter to take it back to the kitchen to heat up but I did not feel like it would have made much of a difference in terms of taste. Another main on the menu that I would recommend however was the lobster linguini. 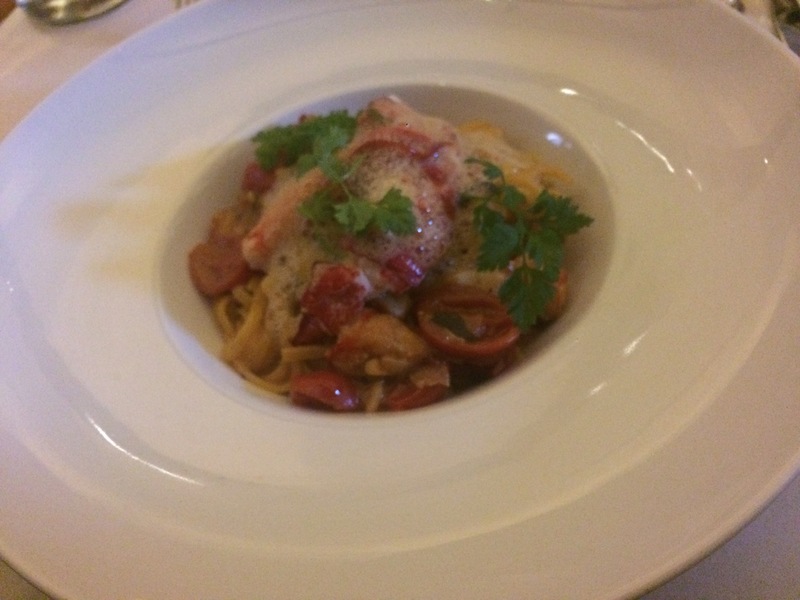 This pasta dish wrapped in seafood sauce was creamy and delicious and served boiled lobster and tomato. It only gets scored an 8/10 because it was not big enough portion as you would expect with the fine dining experience. Nonetheless, I would rate my overall experience and the service as 8/10 and would definitely eat here again!